Online rummy has been a blessing in disguise for many of us. It has come as a breath of fresh air for those of us who were struggling to cope up with playing high-intensity action games or mind-bending strategy games. 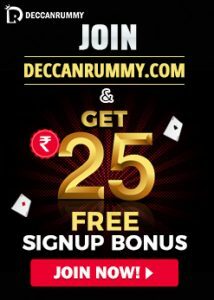 The beauty of online rummy lies in the fact that it strikes a balance between the above-mentioned games and comes across as a down-to-earth game. It carries moderate doses of action and strategy but can still be high octane thriller when played between talented players. There are virtually no barriers to play card games like online rummy. We have often instructed our players to observe their opponents’ moves every game and make their moves accordingly. Have you ever thought why we accentuate this point every time in our blog posts? It is important for online rummy players to classify their opponents based on their strengths. If you know the mindset of your opponents, then it will be easier to deal with them. The following is a broad classification of online rummy players in general which we made after years of observing and reading their game play. Aggressive – These are players who love to attack or enjoy being in a confrontation. They ruthlessly prey on the gullible players. They display their aggression openly by spamming the chat messages with frivolous, non-sequitur messages – other times they spam the chat with angry messages. We would advise our players to ignore such messages and stick with their original plan and strategies. Manipulative – These are some of the smartest folks out there. Card games are always a tricky business and they are masters in it. They are good in deceiving their opponents either by intentionally dropping the cards you want or trying to win over you with seemingly friendly messages in the interactive chat feature. Do not fall for their trap – Do not fall for their trap – they would have dropped the card as bait, their friendly messages might be an effort to obtain vital information. Assiduous Players – Watch out for these Archie Bunker types. Be extremely wary of them, they hate losing – should they lose the game they don’t take it lightly. They are very conservative by heart and it will reflect on their game play. They take very long time to make their move that their opponents get literally tired of them and fold their cards. They do win a lot of times more than the expectations. Light-hearted – They are your average Joe. They are mostly fun-loving, easy-going, care-free average blokes. Most of such guys play the game mainly for entertainment and losses won’t affect them easily. What we love about them is their resilience and an easy going mentality. If you see a player celebrating jubilantly by posting a spree of messages after a victory, chances are pretty high that he belongs to this category. They also don’t whine much about the losses the way other category players do. Although they are here just for fun, they do win lots of rummy games & tournaments more often than not. We consider ourselves fortunate to house a barrage of these fun-loving folks whom we consider as our pillars of strength. Maybe you need to find under which category you fall in? As mentioned earlier, it’s always better to know what you are up against and be prepared. 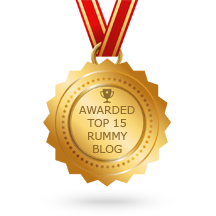 We hope that the article served its purpose in explaining about the different characteristics of online rummy players. 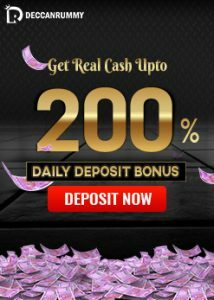 Should you have any further clarifications on this article or any other topics that you want us to write about, feel free to share it in the comment section below or mail us at support@deccanrummy.com.